We install both residential garage doors and commercial garage doors, and handle every stage of the process from the initial consultation to determine your needs right through to clearing up after carrying out a high grade installation. Emergency situations rarely arise at a time that is convenient for you, which is why we offer an emergency service that is available 24 hours per day. Simply pick up the phone and dial 905-456-7896. 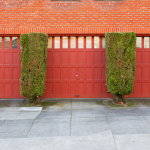 Prestige Doors offer many garage door services call: (780)665-4666.